ski world power, has the best conditions - hills, technology and climatic conditions. For Austrians themselves, the national sport is skiing, celebrate and love their sport, who in the international rivalry the best results for 10-hence. Modern techniques Alpine skiing arose and developed just in Austria. Perhaps no ski fans should not constitute a special ski resorts of Schladming, Zillertal to Hintertux glacier, Ischgl, or world-famous piste in Kitzbühel Hahnenkamm. 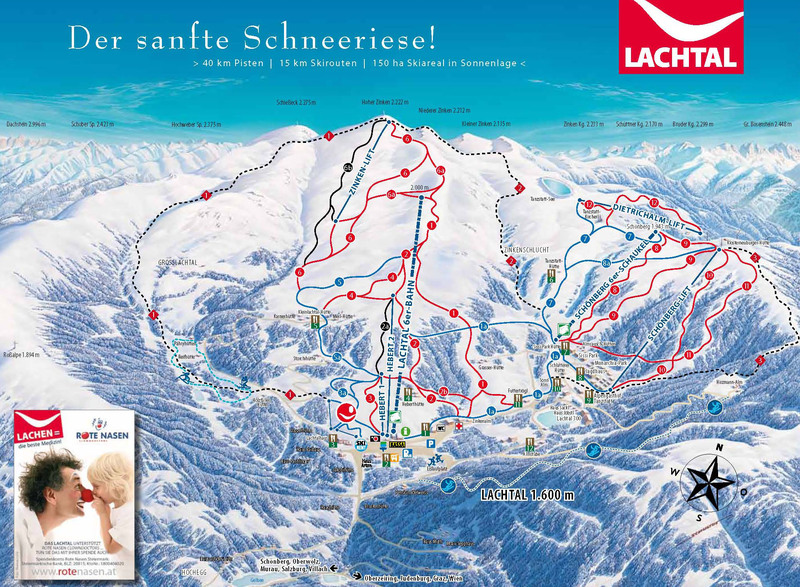 An interesting ski resort Ski Juwel was created by connecting the ski resorts of Alpbachtal and Wildschönau. The total length of ski slopes over 100km brought it among the Top 10 ski resorts of Tirol. Besides ski slopes of all difficulties there are also 3 snowparks and enough facilities and ski schools to satisfy clientelle of families with children and teenagers. Affordable rates. 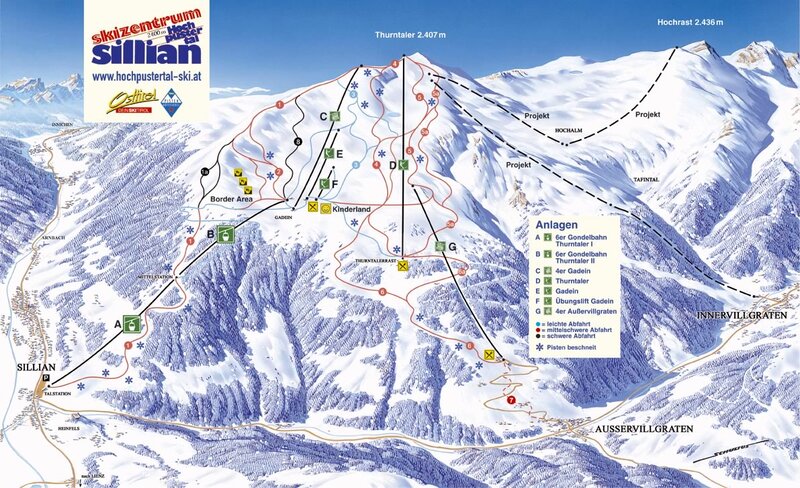 Ski resort Ankogel - Mallnitz (1287 to 2636 m) of Carinthia, has covered 30 km of ski trails and 6 lifts. Situated near the ski area Ankogel. With Specials Top Ski Kärnten Gold, you'll enjoy skiing in 34 centers (eg, Bad Kleinkircheim, Mölltaler Gletscher ...) to 956 km of ski trails and 298 used cars and lifts. Wide area around the towns and villages, Lech, Oberlech, Wed. Anton, Pettneu, Strengen, Zug, Stuben, Klösterle. There are 85 modern lifts and lifts serving 460 kilometers of ski slopes adjusted applicable to the common seaside. Among the different parts of ski bus runs. Snowboard, carving, freeride, FunPark. The largest ski resort in Carinthia known as SKI-WELTCUP "offers a perfect 90 km ski slopes of all complexity with 32 lifts and cable cars. After skiing you can visit the thermal AQUA with internal and external pools, play tennis or have fun in local restaurants or bars. SkiWelt Wilder-Kaiser-Brixental nine interconnected resorts with 250 km of ski trails, of which 64% artificial snow, 91 lifts and lifts with a transport capacity of over 130 000 people per hour, offers perfect opportunities for skiing, cross-country skiing 170 km cross-country ski trails treated, snowbarding here to find 5 sites. Winter resort to family skiing, welcomed each newcomer and intermediate skier. Situated above the town Annaberg on top that resembles a human head in profile - "Kopfberg. The links across the top Zwieselalm (1620 meters) is available 140 kilometers of ski slopes, predominantly red slopes. More than one hundred kilometres of groomed ski slopes of middle and low difficulty is what makes the ski resort Damüls - Mellau - Faschina one of the top ski areas in the Austrian region of Vorarlberg. 24 cabins and ski lifts take care of skiers in the altitude between 710 - 2.050m of sea level. Ideal for ski beginners and for a family holiday in mountains. On the slopes above the small mountain village of Fieberbrunn (800m) is all that counted, size runs - their width and length to fit the transmission capacity of the local ski lifts and cableways, so no waiting in lines or Congested slopes, a secret tip for freeriders, the quality rather than quantity. 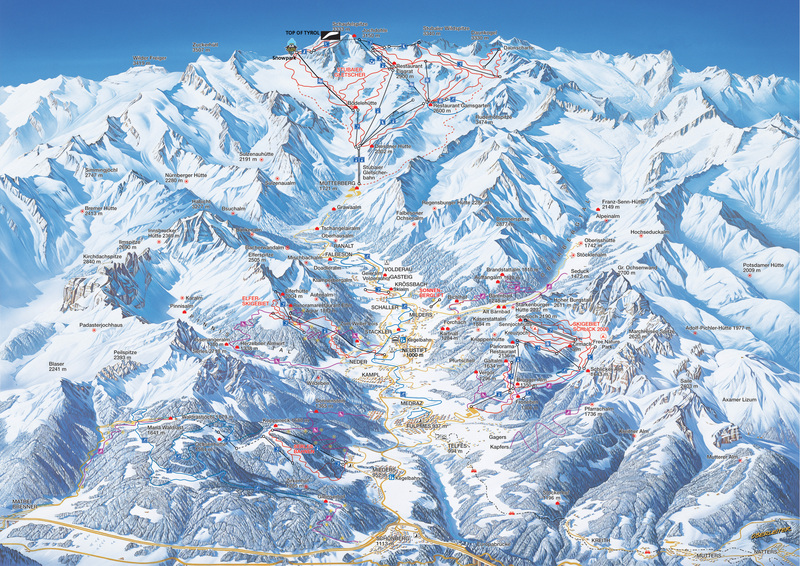 35 kilometers of well-covered pistes for skiers. 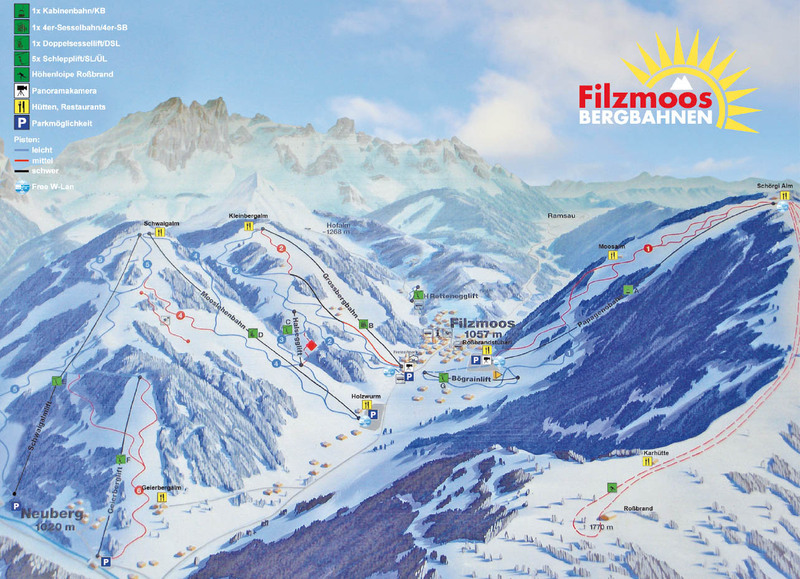 The ski resort Filzmoos is one of the ten ski areas grouped in so called Salzburger Sportwelt which belongs to even bigger ski area Ski Amadé, connection provided with ski buses. The picturesque village fits a family winter holiday perfectly. Besides 40km of skiing also further snow pleasures are at disposal - hikes on snowshoes, sledges or cross-country skis. Skiing in the heart of the Sportwelt Amadé. With Skiverbund Amadé seaside you can enjoy more than 200 lifts and cableways and ski on 860 km of ski trails for all buildings (Salzburger Sportwelt, Schladming - Dachstein Tauern, Gastein, Grossartal, Hochkönig's Winterreich), 160 km cross-country trails, 5 ski schools. 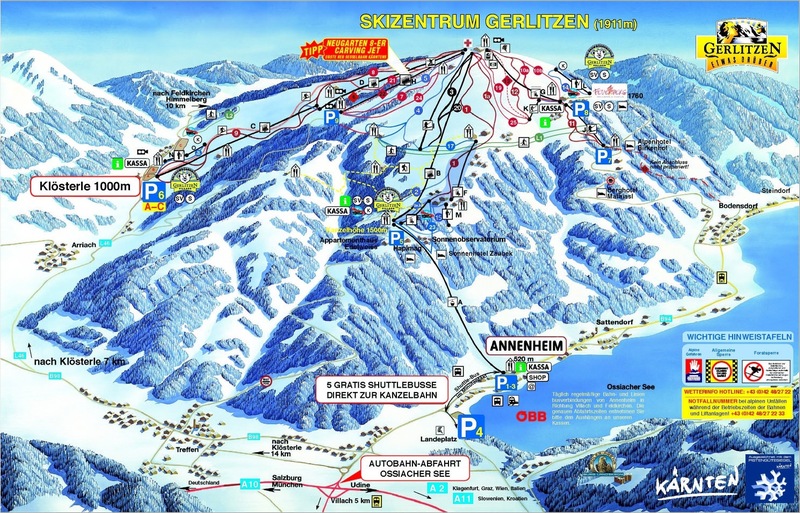 The ski resort of Flachauwinkl - Kleinarl is part of a big ski area in Austria, the Ski World of Salzburg (Salzburger Skiwelt). Although not yet completely on-skis-connected, this ski area has a big potential and offers ski pleasures and ski terrains of all difficulties. This ski zone is also called by the lift-company name Shuttleberg. Must-try is the Absolut Snowpark. Wide and steep ski slopes enable fast skiing, almost 40km of ski slopes just a stone throw from the world-known ski resort Ischgl - Samnaun provide top ski experience. There is something to satisfy freestyle enthusiasts, snowboard freaks and also the cross-country skiers. Nice children zone for the youngest, slopes good for training, skipark, freeride terrains, night skiing. 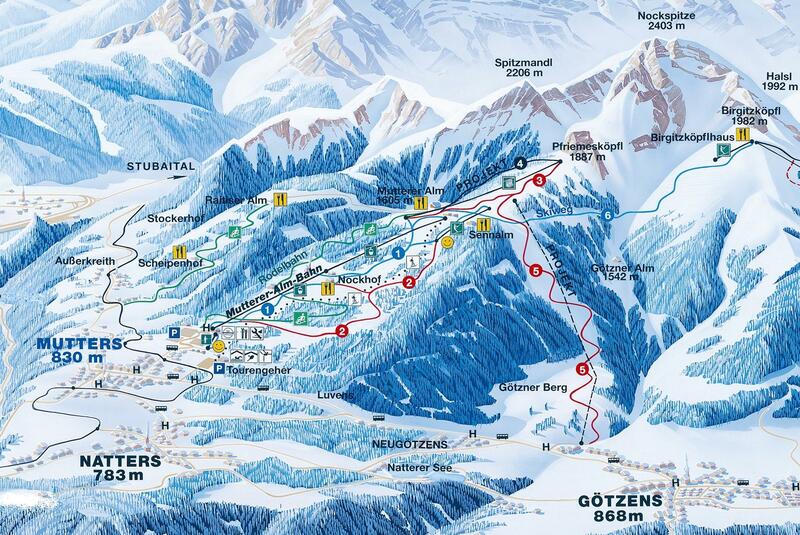 Gastein valley is one of the five largest and most beautiful ski areas in Austria. Skiing in one seaside - you can use more than 50 cable cars and ski lifts and 200 km of ski trails. Lovers of white traces are offering more than 30 km cross-country trails. Gastein ski area belongs to the famous Salzburg region SKI-AMADÉ. Austria's highest mountain 3.798m high Grossglockner is the symbol of this picturesque mountain village Heiligenblut. Total of 55 km ski slopes (most of them for intermediate skiers) are located at an altitude of 1300 m - 2900 m. The high mountain peace and the beautiful panorama of the Alps guarantee perfect addition to the skiing experience to enjoy and relax. Ski resort Hinterstoder is located in the southern part of Upper Austria region. With its altitude of 600-2.000m usually provides good snow conditions. 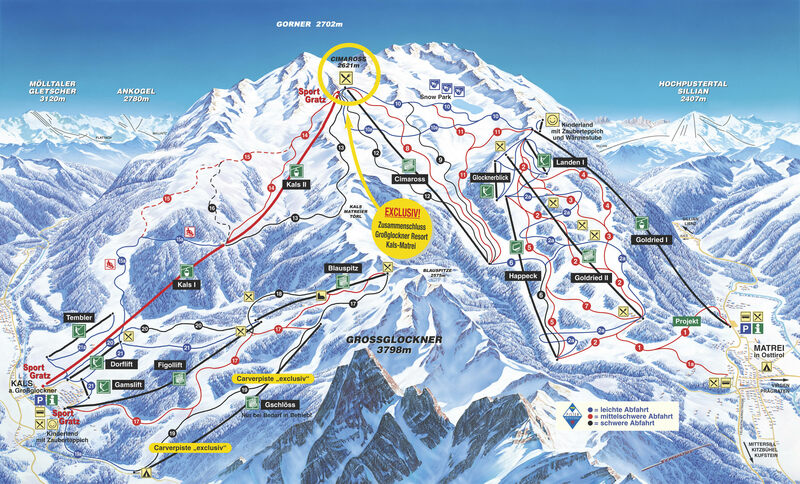 Family ski resort with approx 40km trails known for its black FIS slope that hosts Alpine World Cup ski race of men. At disposal kids park, ski school and snowpark. Accommodation down in Hinterstoder or directly on the slopes. 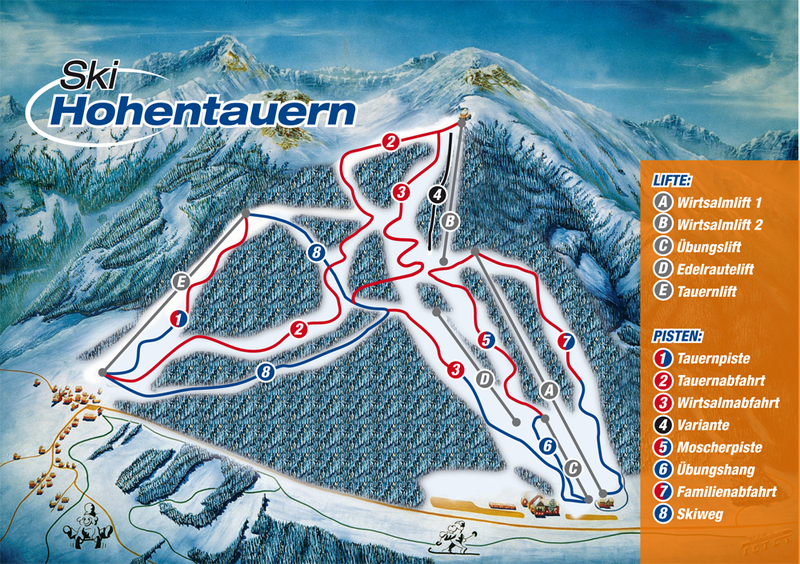 The small ski area Hohentauern suitable for recreational skiers is located in the High Tauern. About 10km of groomed ski trails with sea level 1.250 - 1.750m. Locals have the creed "little is beautiful" and gladly add Styrian hospitality to it. Ideal for family skiing, lots of snow, nice winter holiday, enough place for cross-country skiing lovers. Maria Alm ski resorts, Dienten, Mühlbach Hochkönig belong to the group, together with the Gastein, Dachstein, Sportwelt, Großarl belong to the ski region Ski-Amadé offering impressive 860 km of ski slopes on a common ski pass. Hochkönig offers 150 kilometers of skiing mostly family category. Ski resort Hochötz (820 to 2200 m) with family atmosphere offers a pleasant and quiet environment near the large and important Austrian resorts in this famous valley. If you would not be enough local 27 km trail designated for medium-beginners, you can slip into päťhviezdových resorts Sölden (30km) or Obergurgl (45km). Perfect ski conditions without much need of snow making are secured by the location in the midst of high mountains. Skiing itself is in the altitude of 1.550 - 2.200m, 35km of mostly red difficulty ski slopes fits the advanced skiers. Freeride zone, beginners lifts and meadows for children, fun-snowpark, 20km of cross-country skiing trails. A resort to consider! Fulfills all your wishes and expectations. Together with the Swiss Samnaun offers 230 km of pistes and 40 lifts, snowboard arena, the width for carving, 48 km of cross country skiing trails, 7km toboggan run with lighting. Guarantee of snow - 90% of ski trails located from 2000 to 2800 m above sea level. Skiing until May that will satisfy even the most demanding skier. A ski resort in East Tirol, Kals - Matrei or so called GG-resort lies under the highest mountain of Austria, the Grossglockner, which is a natural snow guarantee. The resort was born connecting two originally separate ski areas Kals and Matrei, creating a solid ski offer with enough ski trails of all difficulties. 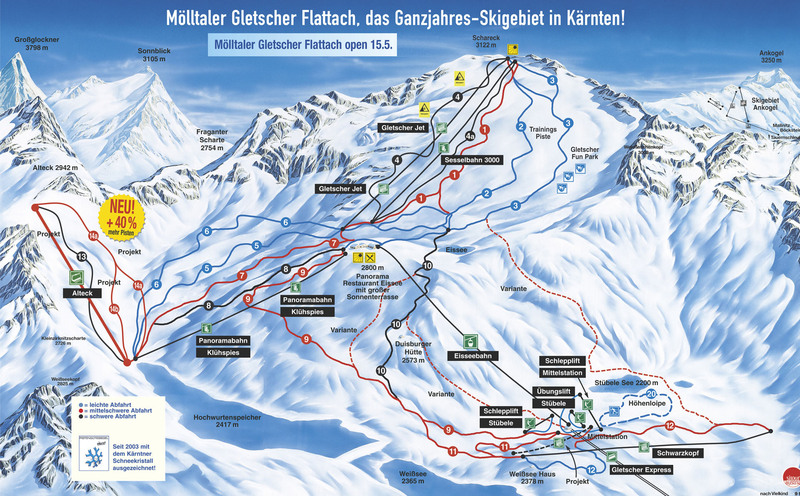 One of the most popular areas in the tourist skiers, skiing in the menu on the Kitzsteinhorn glacier altitude. height of 3.029 meters. Total more than 130 kilometers of ski slopes, 54 lifts and lifts the transmission capacity of 77.000 persons per hour. Campus satisfy lovers of white signs with 200 km cross-country skiing and snowboarding in two premises. Salzburg ski resort is easily accessible from the highway. 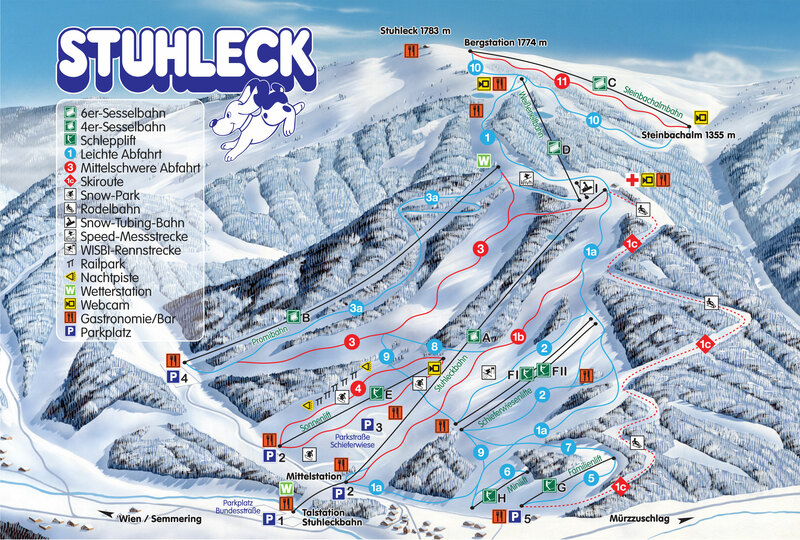 In valley between the peaks Aineck 2.220m and Tschaneck 2.030m at a total of 17 lifts and cable with a capacity of 24.000 p./ h. All the 66 km route is secure artificial snow. At its starting to come but also proficient skiers. Accommodation in Katschberg gives access to the slopes directly from the hotel. 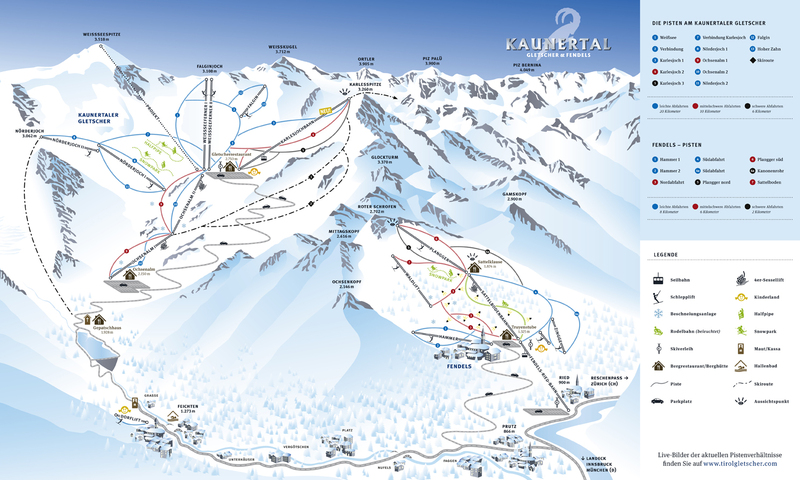 Kaunertal glacier offers skiing on 36 km prepared slopes dominated by light and moderately difficult slopes that are ideal for family skiing. We have something freestyle young enthusiasts in the renowned snow park. Lovers ride to the amount of available free of surrounding terrain. Skiing Austria. Long season begins in September and lasts until mid-June almost 10 months. 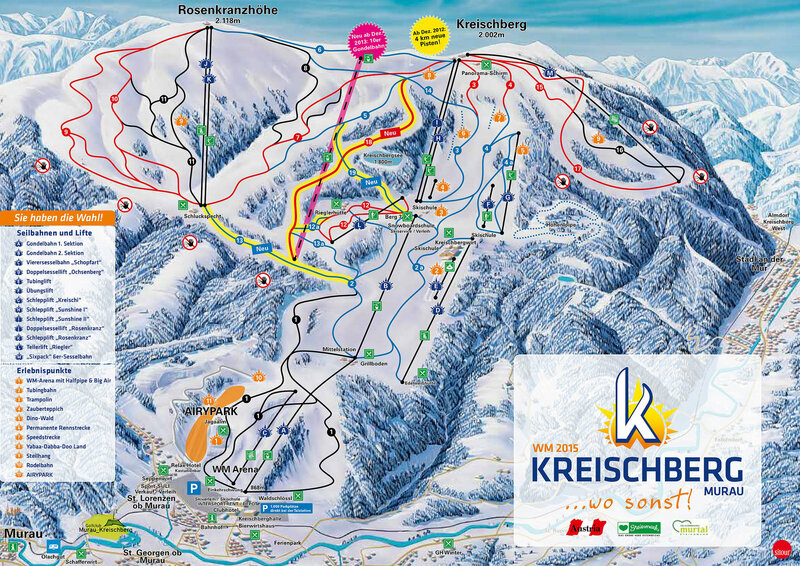 Extensive ski area connects the capital with nearby resort Kitzbühel Kirchberg, Aschau, Jochberg to Pass Thurn. Skiing on 150 km of ski trails of all difficulty, 51 lifts and lifts with a capacity of 77.000 person / hour. The famous Hahnenkamm ski slope - one of the toughest World Cup men congresses. 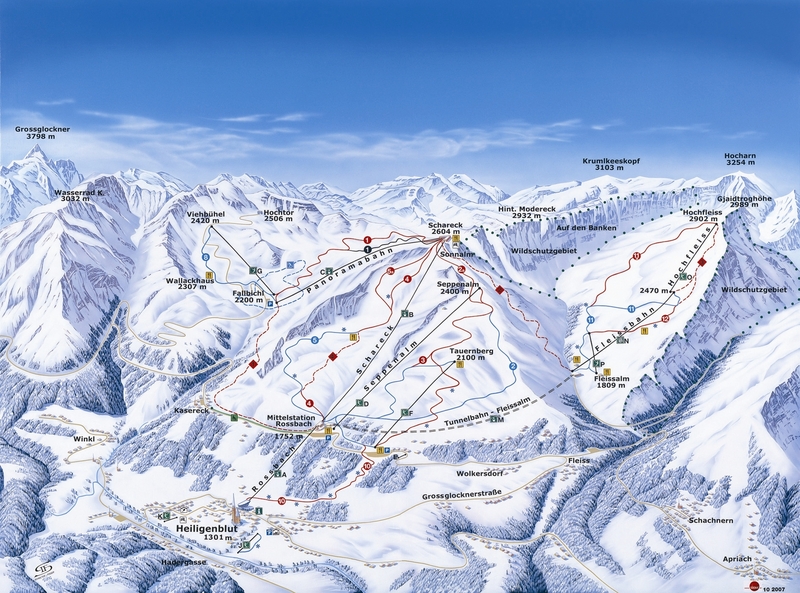 Kitzbühel - Kirchberg top 5 Austrian ski resorts. The ski resort of Kreischberg in Styria belongs to the most innovative middle-sized ski areas. To give the ski slopes high quality the natural snow is mixed with the technical one, snow making on top level. Fun park on snow for children, beginners' slopes, trampolines, tubing. High altitude (1.800m) cross-country skiing track of 2.5km. Permanent race track. Just two hours drive from Vienna and, after running some 40 km of slopes ski resort Lachtal, which is in the best Steiermark focusing on family. Altitude 1.600 to 2.222 meters by a powerful snowmaking system (70% slopes) guarantees quality snow and skiing from early December to late April. Lachtal - family skiing Austria. Skiing on the glacier Mölltal, ski season extends from 17.december by May, the longest cableway in the Alps for 8min to get up 3.122 meters, where you surprise 53km perfectly maintained ski trails and magnificent views. The center is open from Flattach town, or near by Mallnitz. Medium-sized ski resort Muttereralm perfectly suits winter family vacation. Skiing on 16 km of sunny slopes above the picturesque village of Mutters. Neat old houses have twice won a "most beautiful village in Tyrol" with a view of Innsbruck, located only fifteen minutes away by car. Excellent location near the famous iceberg Stubaital. Ski resort for young people is in Carinthia at the Italian border. The skiing here goes a large part of Italian youth in this part of the border, where snow is guaranteed, safe routes over 100 km of pistes, 300 km cross-country skis. Guaranteed skiing throughout the season - good snow conditions provides altitude. amount of snow and 150 pieces of works. The lake Reschensee (Austrian-Italian-Swiss interface) and around Nauders St. Valentin, there are four separate ski areas accessible with one common ski pass Skiparadies Reschenpass, has 110 km of pistes for beginner and advanced skiers. The Centre provides excellent services for children, is ideal for family skiing Austria. Wholly owned guarantee of snow from late November until early May, thanks to an altitude of 1.800 to 3.080 m Assurance Committee artificial snow (90% of pistes). The disposition of 110 km of lines, mostly medium (55 kilometers) and lightweight (35 km) trail difficulty, for demanding (20km) runs black, all with a quality finish. Well-adjusted 95 km circuit composition without skis - ski resort Obertauern. 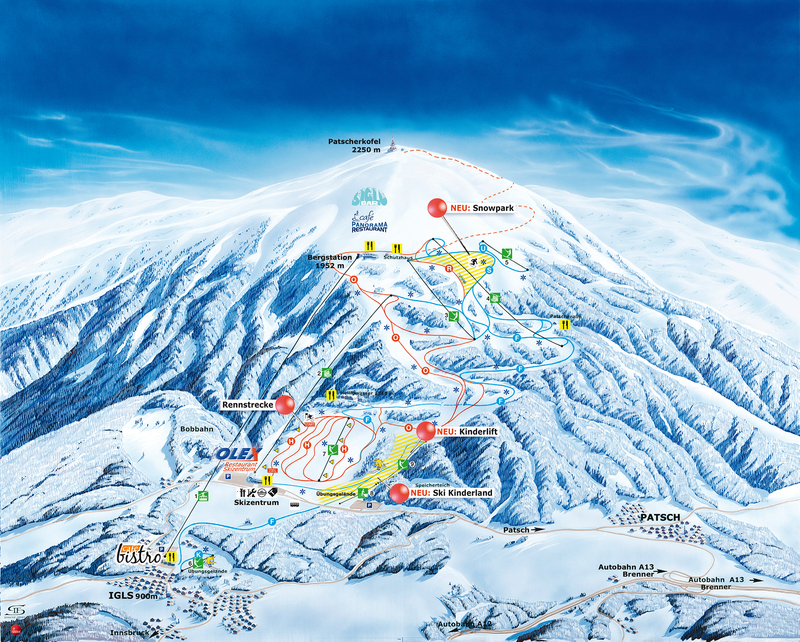 The center offers 26 modern-lifts, slopes mostly light and medium difficulty with well-laid surface. Visitors center that was included in Top-10 of the Austrian ski resort. After the excellent skiing you can have fun in one of the many bars, or relax, sauna, massage. Strong rounded hill above the town of Innsbruck Patscherkofel was called in the past two times Olympic men's downhill (1964 and 1976). Ski resort with 20 km mainly light and medium-runs now mainly interested in family leave, night skiing at night, young snowpark for freestyle enthusiasts. 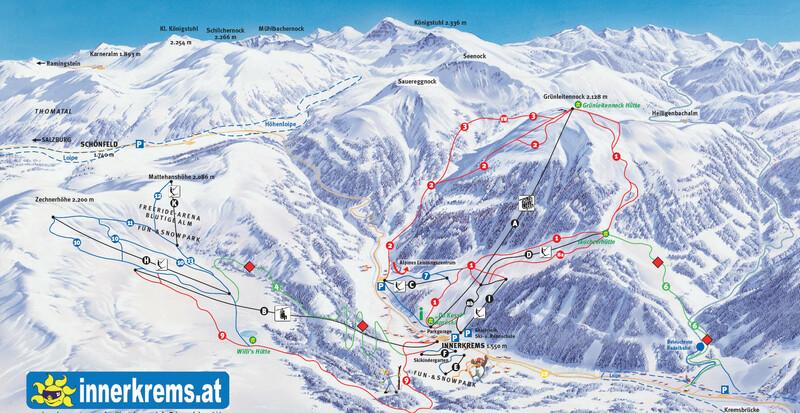 Perfect-prepared, diverse and broad slopes attract skiers to the beautiful Pitztal valley, where there are 3 ski areas. Theme park with a U-ramp for snowboarders and park for children, with ideal conditions for the first steps on snow. Family friendly, free passage for children to age 10 accompanied by their parents to Hochzeiger, Rifflsee and the Pitztal glacier. Salzburger Sportwelt ski area is a large ski resorts where you belong: Flachau, Filzmoos, Radstadt-Altenmarkt, Zauchensee, Wagrain ... These are interlinked skiing, or rarely be used ski bus. Radstadt is in a unique position. It is accessible by train and highway. It can be regarded as the onset of Schladming (23km). 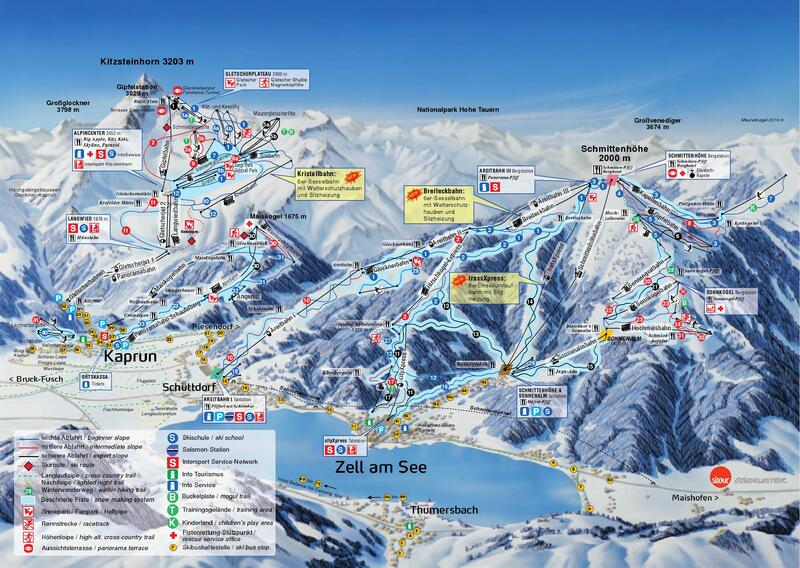 With ski-pass for the Dachstein - Tauern uses more than 100 cars and lifts and skiing to 160 km of pistes. There are sunniest ski meadow in Austria for beginners, 18 lifts and more 18 km of ski trails for skiers, we recommend the winter holidays and ski trips for families with children. Skiing on Dachstein Glacier, a paradise for cross country skiing, family winter holiday. Ideal for a family ski resort winter holiday is situated midway between the better-known Salzburg Gastein premises and Kaprun. The picturesque environment Taur jump - with a view to its protection here grew as small family resort with 35 km of pistes with a complete range of difficulty, 10 lifts and ski lifts, 45 km cross-country trails. 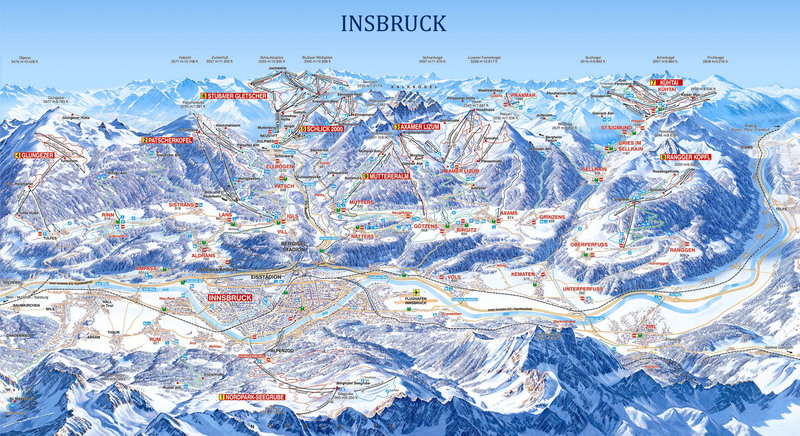 The biggest ski area in Austria with connected ski slopes - no need to use skibus! Incredible 270 km inter-connected ski slopes. Tracks of all difficulty, from easy for beginners to challenging tracks on the northern slopes (Zwöferkogel) with FIS ski run. Skicirkus - the whole valley with 10 different peaks can be skied without repeating a single skirun. West of Innsbruck, is all the surrounding hills of the city built four star resort Seefeld. It includes two areas. One is located on the slopes of Mount Gschwandtkopf (1.200 to 1.500 m), second Rosshütte (1.200 to 2.100 m). Neighborhood has total 3 cabins, 5 seats, 18 lifts. 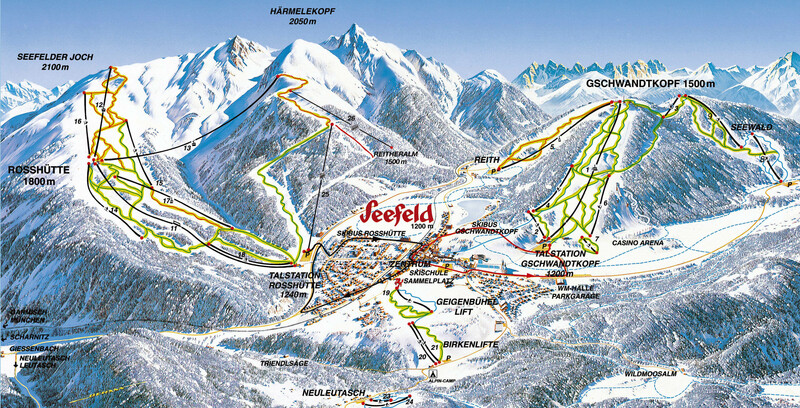 Seefeld known through the cross-country skiing Austria, springboard area. On a plateau above the valley of the River Inn, the sunniest place in Tirol lie three villages with a rich cultural and historical tradition of Serfaus, Fiss and Ladis, a wonderful place for winter sports local hotels offering first class service and comprehensive wellness programs. Serfaus is a paradise for families. Children are supervised and enjoy entertainment throughout the day. Classics - the capital of downhill skiing, not only in Austria. Without skiing this ski resort one can never get the title of real "Alpine" skier. 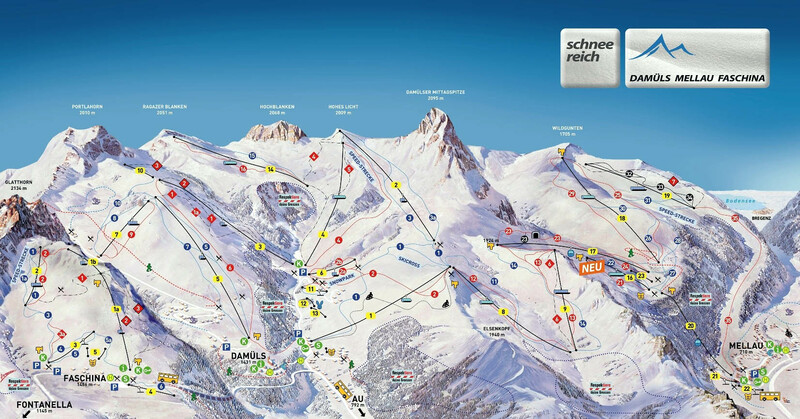 Nearby are other famous ski areas - Ramsau am Dachstein, Dachstein Glacier. Everything to do with skis and winter, special prices for children, the largest investments in skiing in Austria. Night race in the prestigious men's FIS slalom. Ski resort Sillian (1.100 to 2.407 m) lies in the attractive ski area Hochpustertal overlooking the spectacular Dolomites, skiing with no waiting time for lifts, resort has 20 km of light, 20 medium km and 5 kilometers of secondary heavy slopes, 6 lifts and lifts the carrying capacity of 10.000 people per hour. Recommendation - nice winter holiday, family skiing in Austria. Major Austrian ski resort Sölden shows trends, demonstration of new models of skis, the annual racing world leaders, the two premises on glacier, snow man other lines, serving 34 high-traffic facilities with a capacity of 66.000 persons per hour, respectable - 147 km of pistes, mostly medium difficulty with 100% surface. Regularly launches skiing World Cup. Ski resort Stubaital in the beautiful 20 km from Innsbruck offers more than 100 km of ski trails of all difficulty, 36 lifts and lifts with a transport capacity of over 42.000 people / hour, thanks to hail Stubaier Gletscher - skiing throughout the year, snowboarders can find a park in the Schlick 2000. Stubaital family friendly favorite Austrian glacier, perfect winter holiday. Spital area skier - the ski is most easily available from Vienna, a distance of 100 km perfectly prepared pistes, snow tunnel, ground lift, X, fun park, night skiing on artificial lighting, carving, 5 km natural toboggan, beautiful sled run, ice surface, curling, tennis courts, swimming pool, sauna ... missing here something for pleasant ski vacation? Ski resort located in the Alpine region, where conditions are usually the highest natural snow (3-5 m), modern lifts, snowmaking system and machines for preparing slopes, wide trails suitable for carving, unique Tauplitzalm village without cars, ski school are all the little things that will ensure a pleasant experience during the winter holidays and skiing in Austria. Lies at the heart of the Salzburger Sportwelt ski area, which belongs to an even wider group Ski amadé. Each of the centers in this cluster concept are not only for Austrians, a joint ski pass has a record 860 km of pistes with 270 ski lifts. Every fan of winter chosen according to their winter holiday ceases. Wagrain is connected with neighboring Flachau and Alpendorf. The ski resort of Zauchensee belongs to the big family of Salzburg Sportworld. It lies a bit alone in the back part of the whole ski area which is an advantage regarding snow conditions, moreover secured with many snow canons. About 65km of ski slopes and 25 ski lifts is offered connecting Zauchensee - Flachauwinkl - Kleinarl. Skiing suitale for every skier. Ski resorts in valley Zillertal is alphabetical lists at the end of lives, but the relevance, quality and size are Zillertal Valley ended famous Austrian glacier Gletscher Hintertuxer forefront in professional circles. The area with 529 km of pistes is a real mammoth worldwide. Top ski resorts, top skiing in Austria, guaranteed an unforgettable winter holiday for all skiers. Lyžiarske stredisko See sa nachádze neďaleko svetoznámeho Ischgl (Silvretta Arena). See ponúka aktívnu dovolenku v tirolskom Paznaun. Vychutnávajte šport a zábavu v celej ich kráse - lyžovanie, bežecké lyžovanie, výlety na snežniciach, sánkovanie, korčuľovanie na jazere, lezenie v ľade. Nočné lyžovanie, lyžiarska škola, požičovňa výstroja.